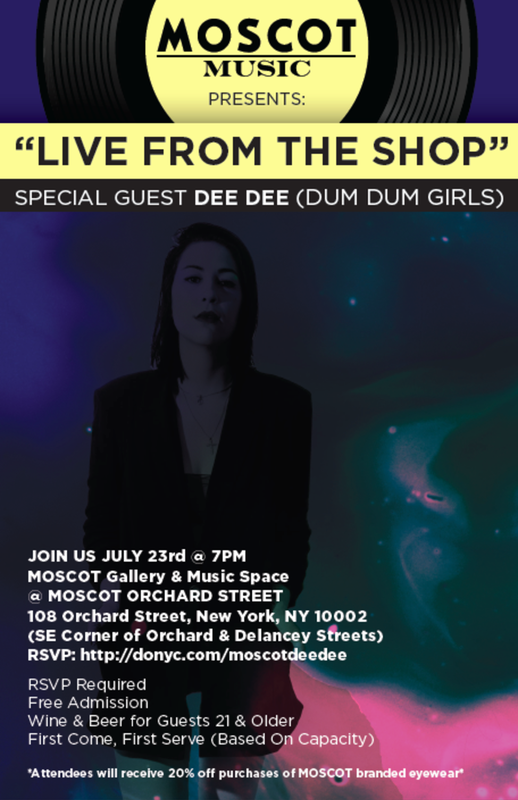 On July 23rd join Moscot Gallery and Music Space for a performance by special guest Dee Dee of Dum Dum Girls. There will be wine and beer for guests 21 & older. Entrance is first come, first serve. Tags: DEE DEE, free drinks, Free NYC, Live Music, Moscot. Bookmark the permalink.